The Family Crisis Center of East Texas operates a 39-bed emergency shelter, or Safehouse. This 24-hour facility offers services to victims and their children such as food, clothing, peer support, transportation, self-sufficiency assistance, and community referrals. Clients also receive case management to secure criminal justice support, employment, housing, child care, counseling, and health services. 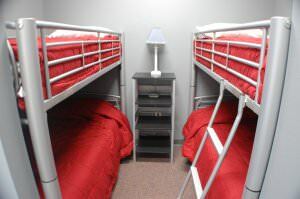 The Safehouse was built in 2008 and has a Family Room, Teen Room, Exercise Room, Computer Room, Play Room, Comfort Room, Outside Play Area, Kitchen, Dining Room, and ten bedrooms, each complete with a private bath. © Copyright 2012-2016 Family Crisis Center of East Texas. All Rights Reserved.